Damaged trees pose a serious safety hazard and require immediate attention. Low-hanging branches, split trunks, or leaning trees can injure someone and even cause damage to property. Professional tree service is needed to save them or remove them safely. Homeowners in Bronx, NY, can count on Owens Bros. Tree Service when it comes to restoring or removing damaged trees. With over six decades of experience, the certified arborists can handle anything from minor tree trimming to large-scale tree removal. They also offer tree pruning, cabling, and stump removal services. Prioritize Safety: After a storm, trees can get tangled in utility lines, which can be dangerous. Never attempt to remove, or even touch, tree limbs that have electrical wires running through them. As you leave your home, look out for weak, hanging branches that are at risk of falling. Assess the Damage: If there are no electrical hazards, you may proceed to assess the damage on your tree. Broken limbs and shredded foliage are not necessarily fatal to a tree. Look for loosely attached branches that have pulled away from the trunk. Remove these at the bottom of the tear to avoid further tree injury. Avoid Topping: Trees will need all of their resources to recover after a storm damage, so resist the temptation to “top” them. Topping, or cutting branches to stubs, will only weaken trees, as it removes foliage that they need for nourishment and regrowth. As a result, they may not survive the next storm. 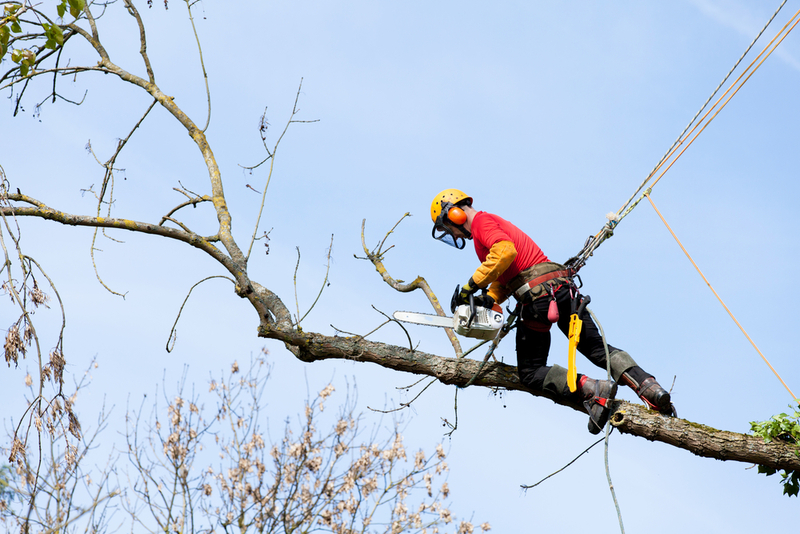 Hire Arborists: If the tree is large and the damage is extensive, such as those requiring a chainsaw, it’s best to hire an arborist. These experts know how to save and repair your trees after a storm. Make sure that they are fully insured for property damage, personal liability, and workers’ compensation. For quality tree services, trust the experts at Owens Bros. Tree Service. They provide 24/7 emergency service and offer the most competitive rates on the market. Call them at (718) 885-0914 or visit their website today.